Jack you are a Builder in a million, your personal touches to the building of our house and the consideration to the family living in the house during the build, your friendly approach and consistent ideas were always appreciated and made the disruption of the build so much easier to cope with. The Connicks, Reigate Road, Tadworth, Surrey. Jack’s team of guys were always polite and friendly. 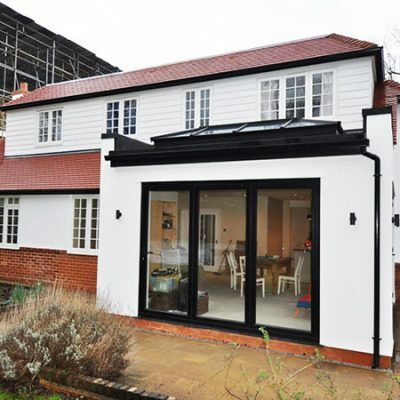 The standard of work on our extension and refurbishment were excellent and we recommend Jack to friends. We would not hesitate to recommend your services to others whether it be for small domestic work or a large design and build turnkey solution project. We have already referred several friends to you who have viewed and been impressed with your work here in our home. Your knowledge and skills base we believe is unrivalled locally and we wish you and your colleagues every success in the future. The team delivering the project were very professional, helpful and took great pride in their work. The finished product was of a high standard and we could not be more pleased with the results. We are really pleased with the build, the quality of the finish and the attention to detail. Throughout the build Jack kept us informed on progress, provided great design ideas and ensured that issues that arose were dealt with promptly. Jacks team worked very hard, are multi skilled, very professional and friendly. We would highly recommend Jack Auletta Ltd and would not hesitate to use their services again. Jack Auletta and his team did a wonderful job in refurbishing the disabled toilets at the Dorking Christian Centre. They did a magnificent make-over working around a very busy community centre, managing to complete on time and on budget. We were very happy with the finished room and will be using Jack again in the near future with the refurbishment of the Ladies and then gents toilets. Jacks prices were very competitive and the team are very friendly and very good at what they do. Time was tight to get all these doors fitted before the students returned to school, but Jack reassured me several times that it would be finished. And he was right, working weekends and late nights the job was finished in plenty of time. 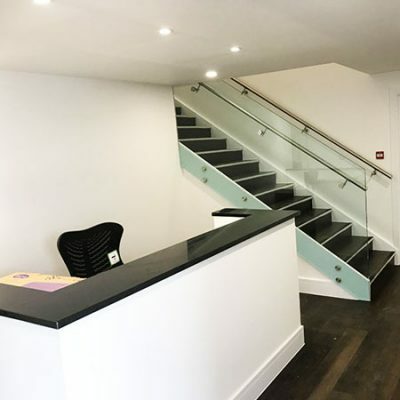 We didn’t think twice about using Jack this year when we had a larger project to complete, re-furbishing the whole first floor of one of our buildings which included painting, fitting doors, suspended ceilings and lights. All completed again before the students came back to school. If you want a good friendly reliable builder then give ack Auletta and his team a call, you won’t be disappointed. Rarely will you find such a hard working, personable and committed builder than Jack! 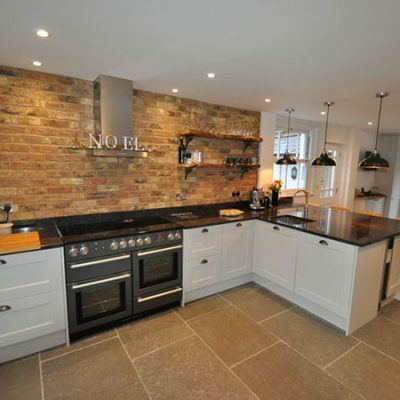 He did a fantastic job on our complete house renovation, taking on a full renovation can be a big upheaval but Jack and his team really did make it a pleasurable experience. Not only did he take care of dealing with the local planning department but he also made many suggestions from his experience on design and finish. He completed the job on time and in line with his very detailed quote. His commitment to the job was excellent – he was always available on the phone or email anytime day or night, weekday or weekend and I was very appreciative of this. Contact one of our friendly team for a free quote today! © Copyright All Rights ReservedWebsite Design by We Built Your Website Ltd.